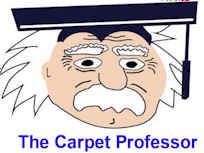 I am the Carpet Professor aka Alan Fletcher and I've been in the carpet and flooring business over 30 years, but I don't sell or install flooring anymore. I am the author of several books about how to buy carpet and flooring and have been a nationally recognized consumer advocate since 1998! I am proud to say that my carpet and flooring articles and unbiased opinions have been featured and published in dozens of major newspapers, national magazines, trade papers and newsletters all over the world. But my true passion is helping hard-working homeowners just like you, to select new flooring that will meet your needs, goals, budget and lifestyle - and at the same time, help you learn how to avoid getting ripped off by the many unscrupulous carpet and flooring retailer scams. I offer my service totally free and there is absolutely no cost to you. Let me start by saying that there are plenty of reputable flooring retailers, but most homeowners don't know how to tell the difference between a "Reputable" flooring dealer and a "Ruthless" flooring dealer. After more than 30 years in this business, I have learned how to recognize an honest and reputable flooring dealer, and how to recognize flooring retailer you need to avoid! That's why I created my own special list of locally-owned carpet and flooring dealers across America that I believe are the best of the best. I became a consumer advocate because I know a lot about carpet and the flooring business and I believe that all consumers deserve to get a fair & square deal on new flooring. I became committed to do something about it back in 1998 and I have been on the warpath ever since! Buying new carpet or flooring is a daunting task and homeowners need full access to honest and complete product information to be able to make wise choices and to avoid making bad choices too. 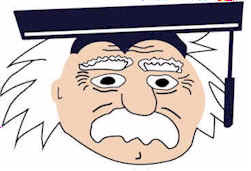 On my free consumer information website (AbcCarpets.com) and within the pages of my Complete Carpet Buying Guide eBook you will learn everything you need to know to buy new carpet wisely, save time and money and avoid scams! Carpet is the one of the most difficult types of flooring to choose correctly. Over the past ten years I've helped over a million homeowners choose carpet wisely and save hundreds or even thousands of dollars on their carpet purchase. I know I can help you save time and money, avoid scams and make wise carpet choices too. But you have to be willing to take the time to get educated. I have made it super easy for you with my Complete Carpet Buying Guide, it's available as an instant download eBook and can be printed out, saved to your hard drive or easily viewed on your computer as often as you wish. I have kept the price very low so everyone can afford a copy. Most homeowners don't know how to buy carpet today - even if they have purchased carpet many times in the past. There used to be 8 basic grades of carpet available: apartment grade, builder grade, three grades of residential and three commercial grades. Not anymore. There are dozens of varying carpet grades and qualities designed to meet the needs and budgets of consumers worldwide. What is a grade? How do I know what grade to buy? Which grade is right for you? That's the $64 question. Choose to low a grade and your carpet will wear out too fast. Choose too high and you will spend way more than you need to. You need to know how to choose the carpet grade that is just right for your needs, goals, lifestyle and budget. Sounds easy but it's not. Where to start? What Grade of Carpet Should I Select? Homeowners often trust a carpet salesperson to steer them in the right direction and suggest the right grade or style of carpet. This can be a very big mistake. Why? Because many carpet salespeople are not qualified or don't take the time to ask you about your needs and goals to advise you wisely. Carpet is a major home improvement purchase, you need to follow the advice of a seasoned professional who has your best interests in mind. You need to choose the right carpet based on your needs and goals. I can help you sort it all out. That's why I wrote my ebook and have created my website AbcCarpets.com - A totally free Consumer Carpet Information Network. Consumers who select the wrong grade of carpet stand to lose hundreds or even thousands of dollars. But choosing he wrong carpet padding can ruin even the best quality carpets. Carpet installation done improperly will void the carpet warranty and can easily cut the life-span of any carpet in half! How do you select the right pad? How to you make sure your carpet is installed properly? You need the answers to these questions and many more.